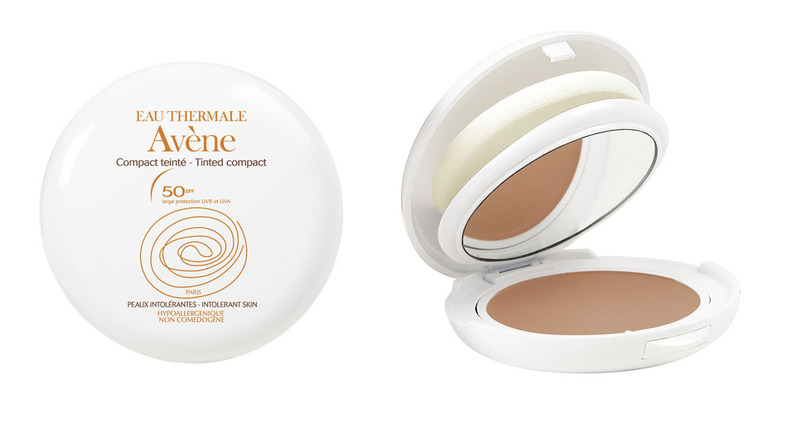 Haiku Review: Eau Thermale Avéne Tinted Compact 50 SPF | Bright & Beautyfull! It helps to read directions. I love French stuff: the food, the wine, the lifestyle, the whole santé thing that they do. I’d never heard of the Avène line before, but have had the chance to try several of their products. I particularly got a kick out of the Thermal Spring Water, but haven’t really made it a big part of my regime. I was spritzing myself with the pressurised spray because I was bored last year during the snowpocalypse. It helped break up the day, and I suspect my skin, housebound as I was, enjoyed the refreshing sensation. Of course, I didn’t bother reading exactly what it was so when I tried to use it as pressed powder, uh yeah, it didn’t work. Because it is foundation. Unaware, I swiped it over a face that was already sporting foundation. Crazy! I put it aside and forgot about it, scarred momentarily by my misuse of it. Then one day I was running late, and I wanted to cut out the middle woman, meaning the time-consuming dispensing of foundation and then application of it onto my face > yeah, wha’? This makes sense to me, okay? Remind me to tell you about the time I used to take a cab four blocks to work — And so! So I picked this up, and using the pad that cunningly rests in the hinge between the top of the compact and the flip-up mirror, had a flawless face in three-ish swipes of product. I’ve never actually counted. I’m trying to reconstruct in my mind’s eye… okay… more like four-ish. I brought this with my on my hols because it’s compact and effective and easy. It looks amazing, and it lasts and lasts. It’s also got a laundry list of excellent qualities — protection against UV radiation, free radicals, and sweat, as well as offering irritation reduction — but frankly the most important thing to me, at the end of the day, is that I don’t want to have to be touching up excessively throughout said day. This is a matte finish that combines the best effects of foundation and powder, and I am quite sad that I am near to using it up.